GENEVA, Switzerland, October 10, 2013/African Press Organization (APO)/ -- The FIFA Disciplinary Committee has today decided to sanction the Moroccan international player Hamza Abourazzouk, who had been provisionally suspended in August for an anti-doping rule violation, following a doping control conducted after the match of the preliminary competition of the 2014 FIFA World Cup Brazil™, played in Marrakech, Morocco on 8 June 2013. The player has been declared ineligible for a period of six months after testing positive for carboxy-THC – a substance included on WADA's 2013 Prohibited List under the class “S8. Cannabinoids”. By testing positive for a prohibited substance, the player has violated article 6 of the FIFA Anti-Doping Regulations. As such, he has contravened article 63 of the FIFA Disciplinary Code. 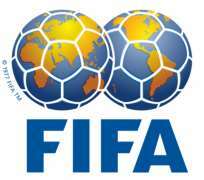 The suspension period starts from 28 August 2013, the date from which the player was provisionally suspended by the chairman of the Disciplinary Committee. The suspension covers all types of matches, including domestic, international, friendly and official fixtures. The concerned party has been duly notified today.